Crown Royal is no Johnny Come Lately in the whisky world — though I’ve had a vague grudge against the brand since my family was mistakenly and bizarrely charged for 11 glasses of said whisky at Tony’s in Houston, Texas. But who doesn’t love that little purple bag? Crown Royal Reserve is, obviously, the reserve version of the classic Canadian blend. Re-released this month with a new design (and a fancy little gold bag). Formerly known as “Special Reserve,” the blend also gets a slightly new, less “Special” name. The recipe, however, is the same, a selection of less than 1 percent of the stock available to the company, notably including some spicy rye whisky. 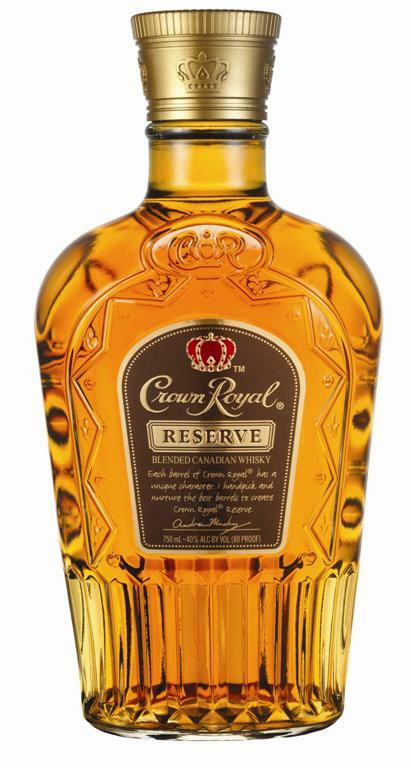 Crown Royal Reserve is a very pleasant whisky, surprisingly easy to drink even without water. The heat is minimal, allowing you to focus on the spicy notes here: cinnamon and incense, and a surprisingly light touch of vanilla from the oak barrels. Finish is short but nicely sweet. Nothing too complex, but really quite compelling… and I keep going back to it. Now I know how those mysterious guys ordered 11 of these things. This is one of the most well-rounded drinks out there and is my go-to drink of choice. I love it! Not enough O’s in smooth to describe it!! !